love this life: these hands. if you have spent much time in this little blog space of mine, you have probably noticed this theme running through my life and efforts. this theme of wanting to make a difference, of wanting to make my actions matter, of carrying a bit of a tortured soul over how to make space for the everything i feel and ache for. i am consistently craving simplicity and am hungry for experiences that bring me closer to the kind of simple life i hope to lead. my heart clings to information that tells me that i have so much...and that there are people with so little. and sometimes, it all feels very heavy. i look around my home and see so much. so much that we don't need, and so much that we could do without. jenica, who has quickly become a very dear and true friend in my life, has recently inspired me to join her in a project to use these longings and soul aches for a higher purpose. She shared her motivation on her blog this past week, and I have been touched by it ever since. 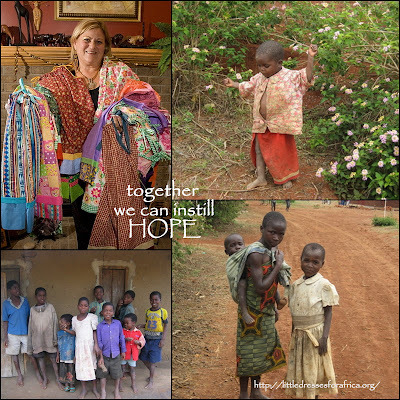 The project is called Little Dresses for Africa and is such an inspirational, simple way for me to make a small difference with my own two hands. I wanted to join right away! Seeing that we are states apart, I have decided to start my own little sewing group here...and would love for you to join forces with me! I am going send you on your merry way to read the original post that Jenica wrote on her blog about this project. I would love for you to read it. And after you do, if you find that you have a load of pillow cases not being used...send them my way! Better yet, if you want to be a part of turning those old pillow cases into clothing for children who don't have much...let me know! I would love to have you over for a sewing date. Just get in touch with me if this is something that feels as good to you as it does to me. If your hands are itching to make change, i'll make a seat for ya! I would love to join you in this project!! Hey Jess - This is awesome.... I have a such a heart for Africa after being there twice now. I am SO bummed that I got rid of old sheets and pillowcases in a garage sale last month =( I will pass the word along tho! I love that you are doing this and not losing heart in doing good (Galatians 6:9). It is a wonderful thing to see your heart on this. Sign me up! let me know when you are going to be doing this. Do you mind if I post something on my blog about it?? I have some friends that might be interested. 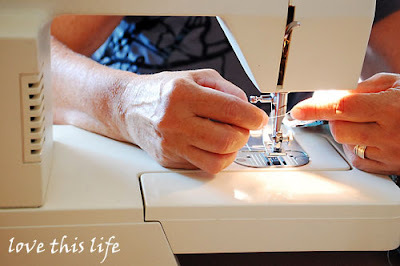 I just wish I could sew... Or lived closer so I could accept the date and have you teach me! This is a wonderful initiative. Do you mind if I share about it on my blog as well, and direct people to you?